hell yes, looks stellar. love seeing you guys pump out these mapsets, can't wait for more (after I play this one)! If you're more specific about what issues this has with Crispy Doom, then @fabian may be able to fix it. Is it something like this? If you can't see it (which is probably my fault for using pal_plus) it's the armor bonus floating next to a ledge, below the s in "pause". I've seen this issue before in limit removing wads such as Rylayeh and Blood TC. It can be easy to miss because pretty much anything Boom compatible corrects it, so you'd have to be testing on complevel 2 or something similarly faithful to vanilla behavior. Something similar can happen near the start of map02 if you activate one of the three switches before collecting the health bonuses near it, but it's not as much of an issue there because they're still within reach. Also, and I'm not sure if this is due to vanilla behavior or not, but there are some monsters northeast of map03 that have trouble spawning, at least one of which is an arachnotron I can hear whenever I'm in that area. The same is true for some monsters southwest of map05. Thank you for this constructive criticism. @SiFi270 Thank you for pointing out those errors. They have been fixed now! 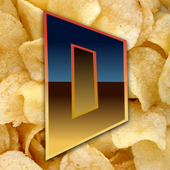 @fabian Sorry, Crispy Doom is indeed Crispy enough because I have updated my Crispy Doom port! How is this supposed to be fixed in Boom-compatible ports? Do they move the thing's position on the map away from the ledge or what? @fabian It was an issue with the new additional zombieman/shotgunner sprites and it complained about there being duplicates (there are no duplicates in the WAD file) so the game would not start earlier. I added the new rotational sprites from the Doom Alphas/Betas. I trust that all of y'all are enjoying your MINDBLOOD GENESIS Doom adventure! Have fun and stay groovy! All I really know is that if I came across the issue in Odamex, I could fix it without having to restart anything by going to the compatibility menu and enabling "use Boom actor in sector check" or something along those lines, which appears to have been rephrased as "Boom actor/sector/line checks" in the most recent version. edit: I double checked and it seems I was wrong about it not requiring a restart. I like the tight gameplay in this. Tight on ammo. Interconnected map. fun engagements. Archviles really are from hell. Do we call the look Tech Hell? Well, there are the sprites from the IWAD (e.g. sposa4a6, sposa3a7, sposa2a8) and the ones that you added in the PWAD (e.g. sposa6, sposa7, sposa8), so technically speaking there were two sprites assigned to the same frame and the same rotation. However, the engine should handle that more gracefully and already does for some time. I've finished tweaking and fixing minor things so now MINDBLOOD GENESIS is polished to an (almost) impeccable sheen! The download has been (secretly) updated for the last time and should now be idgames compatible so let us hope that archaic archival system can handle the unbridled festival of brutality that is MINDBLOOD GENESIS. @Mk7_Centipede Glad you like it! Yes we can call the look Tech Hell... if you don't want to call it Psychedelic Tech Shredder Hell X1.79 that is! There was a good leaning towards making the resource pack more on the gory and twisted side. Although that might be because my first idea for this was originally going to be more horror themed. Ultimately we captured the quintessence of Doom's very essence! 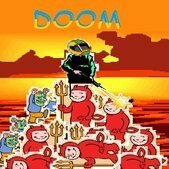 @fabian Thank you for explaining the issue; playing with Crispy Doom has been a blast! Edited February 4 by SuperCupcakeTactics : It's possible to get stuck in MAP08 if you're playing with a port that doesn't let you open doors past another activation line. It is still beatable given you don't warp yourself in the box without opening it first. Oh well! I like Tech Hell. It sounds like your computer is out of date, so you map for Doom. And its just Tech Hell. Just binged through all 9 maps in one sitting. Excellent stuff, plenty of challenging but fair combat to be enjoyed in this wad. The maps were very well designed and provided plenty of nonlinear gameplay but were never confusing at any time ( except maybe the red key ordeal on map05 ). The gameplay was definitely the bestpart of the wad for me, the combat was just a non stop frenzy of relentlessly mowing down low/mid tier enemies. I was actually pretty bummed once I reached map09 and realized I had just slaughtered my way through all 9 maps in one go. Really looking forward to more from you guys. I'll probably give this wad a replay sometime soonish and upload a video here. -Also on an added note I really liked the usage of Doom alpha textures! For some reason switches that have to be shot in map02 and map05 just don't work sometimes. Whether I shoot them just once or multiple times, it plays the sound and animation to indicate it's been "pressed", but the sector that's supposed to move isn't affected, making the invulnerability or red key unavailable and forcing me to restart the level and just hope it decides to work this time. I couldn't figure out the red key on map05 so I skipped it. The maps are highly detailed but very odd looking. Overall, it's pretty damn good. 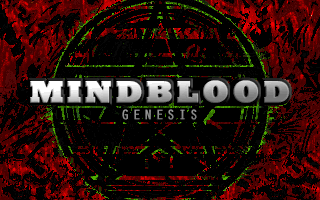 At long last, the archival of MINDBLOOD GENESIS is here! Groovy! I've fixed the issues with MAP08 but I'm holding off on another update until I am sure everything is perfect. @SiFi270 That's a very odd issue you're experiencing. I'm curious what about what port you're using since it could just be that. 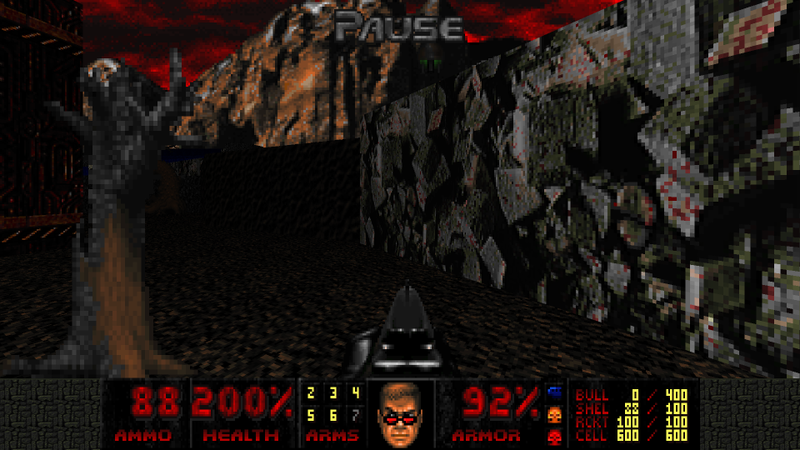 Everything is working as intended on those maps with the latest version of Crispy Doom of which I trust is a good standard for compatibility. It's possible to break the sequence for the red skull key puzzle in MAP05 (fidgeting with linedefs out of order) and I am totally fine with that. Upon entering the red scepter's temple, the answer reveals itself from the outside. It was happening both when I played the first version you uploaded with PrBoom+ at complevel 2, and when I played the next version in Crispy Doom. I have yet to try the idgames version, though.